Being diagnosed with gluten intolerance was the worst thing that ever happened to me. At least that’s what I thought at the moment. But, as time passed, I started to realise that it was probably the best thing that ever happened to me! Suddenly, most of my everyday health problems disappeared without a trace. All my stomach problems magically vanished, my appetite got back and I finally managed to gain some weight. I needed less sleep and felt more energetic. My headaches were down to the minimum. Even my PMS became more tolerable. And, most important of all – my anxiety was cured as well. That meant no more restlessness or feeling like I was always on the edge. I stopped feeling fatigue without an apparent reason. I stopped being irritable, and nervous. I started being able to concentrate longer and on more difficult tasks without my mind wandering around. All my muscle tension and cramping went away. And the best part – my “uncontrollable” worrying became quite easy to manage. In turn, this helped me in dealing with my panic attacks. All in all, being diagnosed with gluten sensitivity changed my entire life for the better. And I wasn’t the only one. Over the past 5 years I met a lot of people who went through the same transition. I realized that anxiety and gluten were always being mentioned in the same sentence. “When I started avoiding gluten, it felt like my anxiety left my body”, a friend would say to me. “I can’t believe I spent so much money on psychotherapy for my anxiety! Should’ve got diagnosed for gluten intolerance years ago”, another friend would joke. And this wasn’t happening only with me and my friends. A quick google search can show you that there are millions of people around the world that have won the war against the seemingly unbeatable anxiety with their gluten free diet. So here comes the crucial question – why is anxiety caused by gluten? First of all, let me explain what gluten is. Gluten is a protein that can be found in wheat, rye, and barley. This protein helps foods keep their shape, acting like a type of natural glue that holds food together. This might look simple enough for avoiding, but the reality is different. Keep in mind that gluten can be found in almost all products in your regular grocery store. Even in those that don’t contain gluten in their natural form, like sugar for example (I learned this the hard way!). That’s why you need to read all the ingredients carefully before buying a product. Wheat is usually found in breads, pasta, baked goods, soups, cereals, salad dressings and different types of sauces. Barley is usually found in malt, soups, food coloring, and beer (sorry guys!). And now, let’s get back to our main subject – anxiety and gluten. A lot of studies are showing us that anxiety is present in people with gluten intolerance and celiac disease. Why? Well, researchers still can’t agree on a definite answer. Can gluten cause anxiety? There are several theories that suggest a combination of factors. 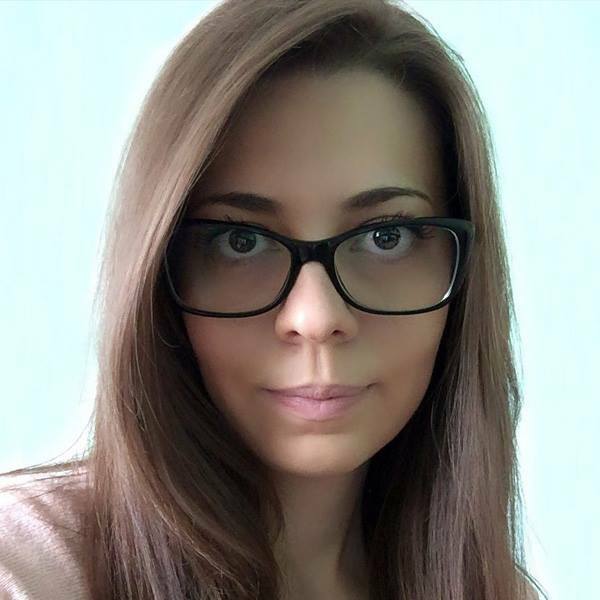 Some researchers are explaining that the nutritional deficiencies and malnutrition that manifest in patients with intestinal damage (caused by celiac disease or gluten intolerance) can contribute to the feeling of anxiety. They are not getting enough nutrients from the food they eat, so they are becoming more tired and fatigued. This can easily make anyone feel anxious. Others suggest that anxiety in celiac disease and gluten intolerant patients is more like a reaction than a symptom. 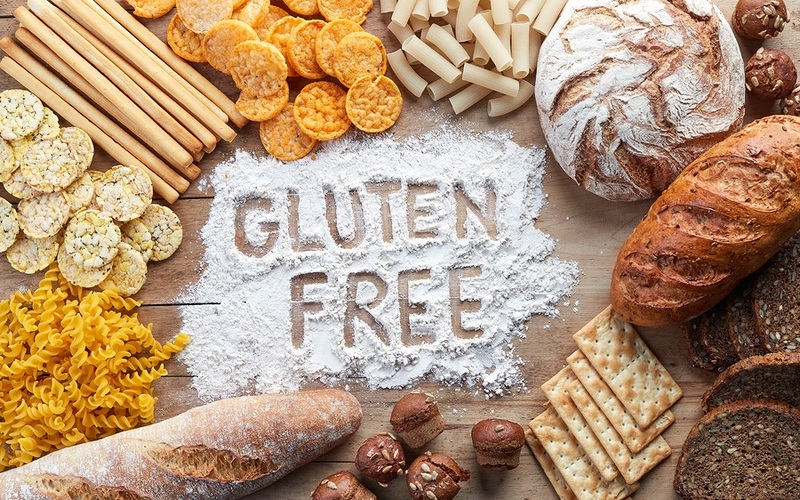 Some of the main symptoms of gluten sensitivity are abdominal pain, diarrhoea, and weight loss, usually misdiagnosed as unrelated chronic diseases. Again, anyone can feel anxious in a situation like this. Whatever the reason is, we know for sure that anxiety caused by gluten can easily be cured with a simple gluten free diet. Only 2 weeks are needed to feel the first signs of getting better. The next 2 weeks are even better. And then, before you know it, all your health and mental problems will become easily manageable, or completely cured. Sounds amazing, right? If you need help with your gluten free diet, try this hard boiled egg diet. It will help you with the transition towards your new food regime. As the name suggests, it includes a lot of hard boiled eggs, and it’s full of protein. If you are also interested in weight loss, then it’s a win-win situation for you. So is there a causal link between anxiety and gluten sensitivity. 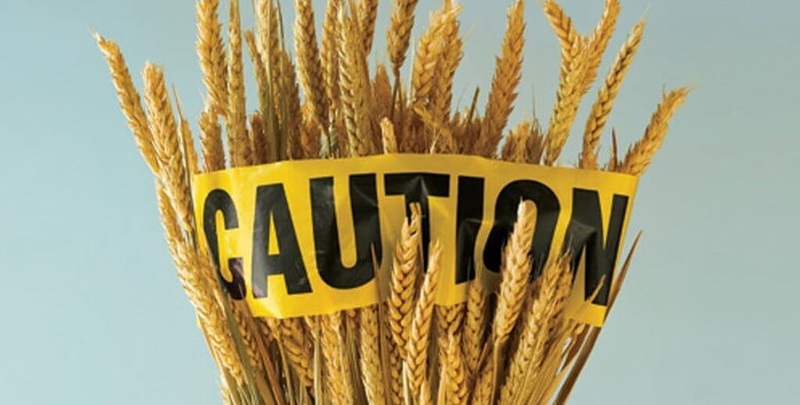 The findings are not sufficient enough to draw a clear line, but looking at the correlation we can say with certainty that gluten and anxiety are tightly connected. Is your anxiety caused by gluten? If you suspect so, you might want to check for gluten intolerance. But what will happen to your mental health if you continue eating gluten when your body is gluten intolerant? Anxiety disorders are not just nervousness or worrying. They can cause irrational and paralyzing fear about things that other people don’t even think about. If you suffer from anxiety disorders, you probably understand that your thoughts are irrational, but this can’t help you fight them. They just appear in your head and start torturing you until they turn your life into a living hell. That’s when depression comes on the scene. Depression is a serious medical illness that affects your thoughts, feelings and actions in a negative way. People who suffer from depression have trouble doing normal day-to-day activities. Some of them may even feel as if their life isn’t worth living. Also, no one is safe from depression, even people who look like they are living the life of their dreams. You can never know what happens to someone’s mind, not even if the person is the closest one in your life. The most common symptoms include feeling sad, loss of interest in activities once enjoyed, trouble falling asleep or waking up, loss of energy or chronic fatigue… Sound familiar? All of this symptoms are also part of the gluten intolerance diagnosis! So, can gluten cause depression? 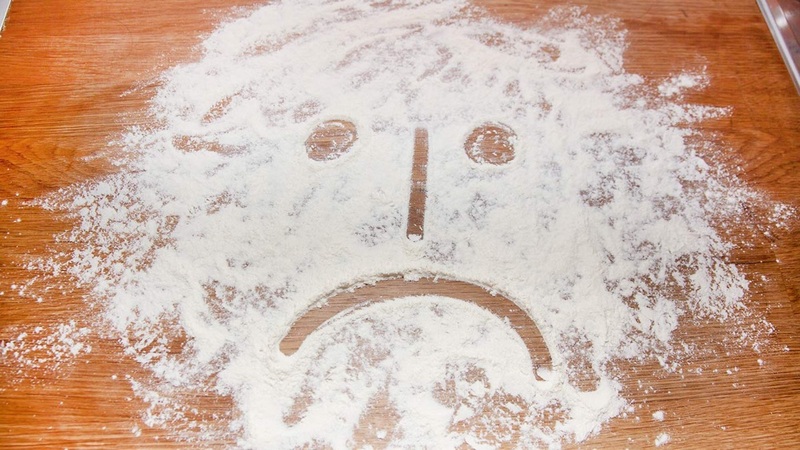 Are gluten and depression connected? The answer is the same as with anxiety. Researchers don’t know how this works, but they are convinced that it’s happening. Probably with the help of anxiety symptoms. Gluten free diet can help you cope with your depression, but its best if you ask for professional help as well. Gluten free diet in combination with psychotherapy can make wonders for your mind (and body) and can help you build the life you’ve always dreamed of. You can make your journey through this difficult period easier, and healthier. There is also a connection between gluten and mood swings, so consider this problem solved as well. While you are trying to adapt to your gluten free diet, you can also start working out to help keep your mind at ease. However, intense exercises often cause irritability, discomfort and restlessness, so make sure you chose something like PIYO – a program that combines yoga poses with various low-impact moves, created by Chalene Johnson and streamed on Beachbody on Demand. Was there a connection between anxiety and gluten intolerance in your life? 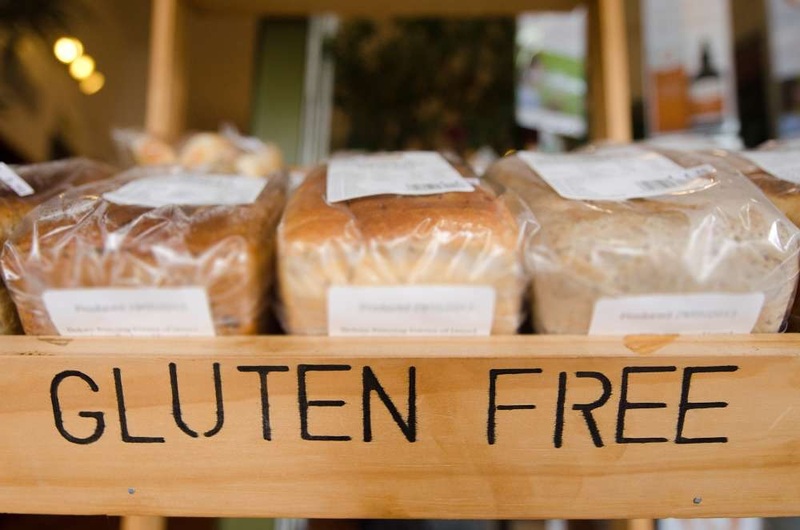 Are you on a gluten free diet? Maybe you have some questions for us here at Lifestyle Updated? Feel free to share your thoughts and experiences in the comment section bellow.